...with these over ripe exploding Italian plums. 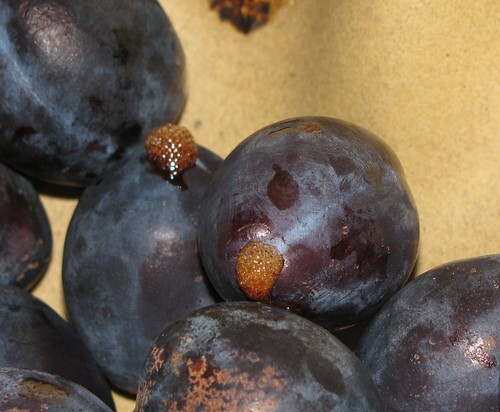 Most fruits mold or shrink or bruise or brown. The plums from our Wayward Seed Fruit CSA just burble juice from their tops like slow grenades. ...and this delicate squash tendril. 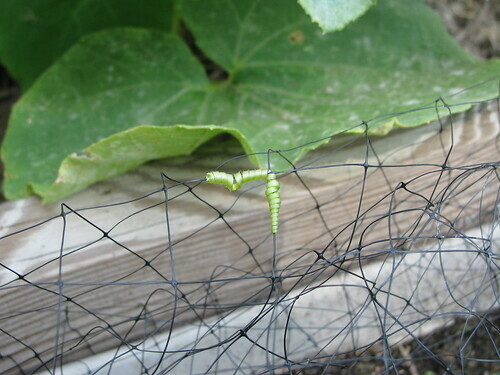 When I trained the squash away from the lettuce the other day, this coil of tendril clung to the bird netting. How curiously beautiful life is when we take a moment to look closely.